Explorers, foodies, yogis, and dreamers... we invite you to melt into a week of bliss at Michael Franti’s oasis of yoga, soul, and rock n’ roll. Soulshine Bali is the leading yoga retreat hotel in Ubud. It’s an independent hotel focused on relaxed luxury and world famous retreats. Nestled between ancient rice terraces, temples and a lush jungle landscape, peacefully located ten minutes from Ubud center. The kitchen serves farm to table freshness from the organic garden with a menu full of delicious vegan, vegetarian and local flavors. 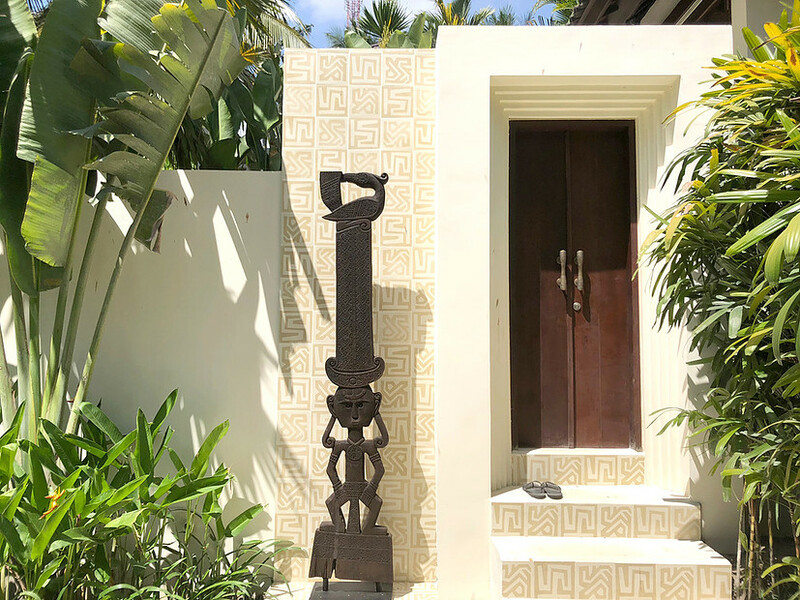 Each room features handcrafted furniture by local artisans mixed with antique pieces and modern decor. Comfort is important to us and we strive to be the place you call your home away from home. Each room has a private bathroom and air-conditioninig. double occupancy. price is per person. 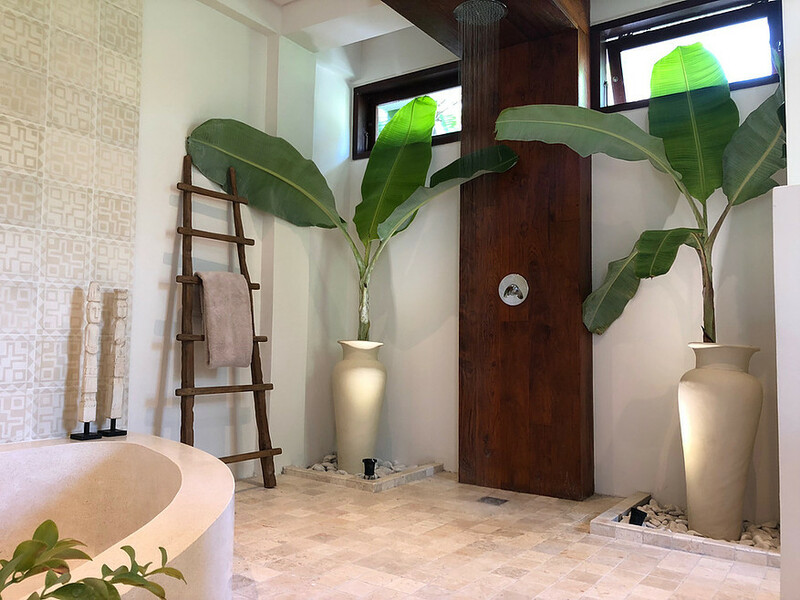 Soul rooms are designed in the ashram style of India and as of March 2019 have received fresh updates. 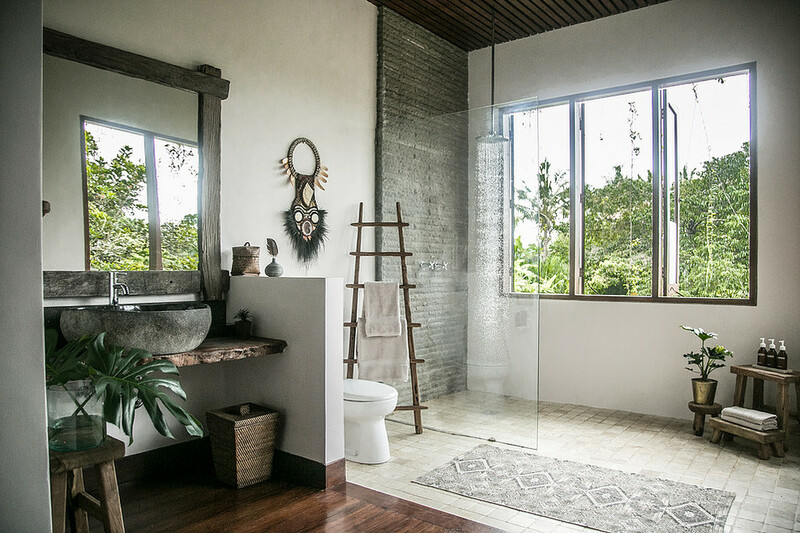 All rooms have in-suite bathrooms and rain showers. Each room is air-conditioned with built in wardrobes and desks for two people. Perfect for sharing with a travel buddy or choose the king bed option for couples. Don’t be deterred by the double occupancy. If you are traveling solo, we are happy to pair you with another traveler, or to provide solo pricing. Feel the vibes in this spacious room with a king bed and seating area with a love sofa. Enjoy the temple views from your own private balcony. The grand and soulful suite is everything you need to regenerate during your dreamy vacation. On the console you'll find interesting reads, antique artifacts and a Marshall speaker waiting to play your favorite tunes. Super King Bed, bright and generous bathroom with rain shower. This cozy room is located on the ground floor of the main villa. On the console you'll find interesting reads, antique artifacts and a Marshall speaker waiting to play your favorite tunes. King bed, deep soak tub and outdoor rain shower. The Hendrix room has a small balcony and access to the Soulshine temple and gardens. On the console you'll find interesting reads, antique artifacts and a Marshall speaker waiting to play your favorite tunes. Outdoor rain shower. You choose king or twin bed (s). The room where Michael Franti wrote the song 'Sound of Sunshine' boasts picture window views of the jungle canopy and a tree house feeling. Two twin beds, this room is perfect for friends or family relatives. 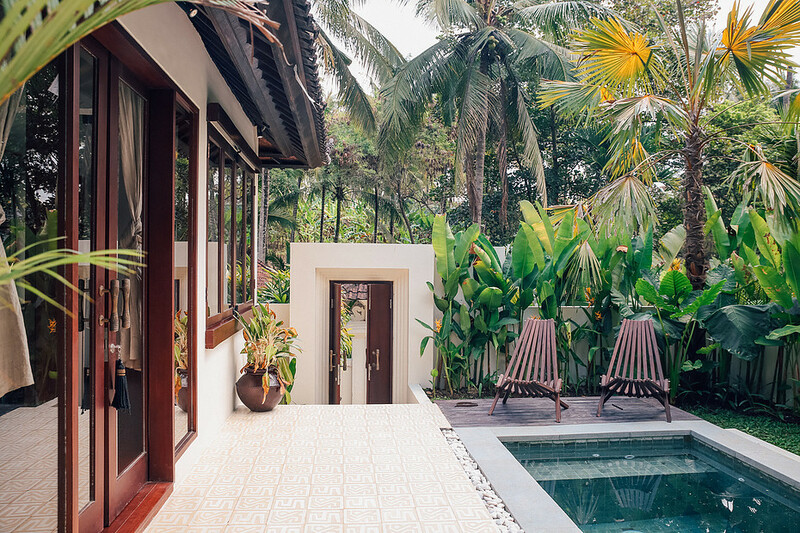 The ultimate luxury bungalow with a plunge pool enclosed with lush tropical greenery. Wake up to a Jungle view from your super comfy bed and spin vinyls on your own record player. After watching the sunset on the roof top you can take a bath and have a glass of wine. King or Twin bed(s). The intimate and tropical cozy pool suite is your own luxurious hideaway. A lush jungle garden is the first thing you see when waking up and the plunge pool is only a few steps away. Listen to your favorite tunes while having a sunny cooling rain shower. This is where your days will drift by in your personal paradise. King or Twin bed(s). Thank you!! We’ll be in touch soon. • The al la carte menu – smoothies, snacks, cocktails, etc. • Visitors from recipient countries (including USA) are exempted from obtaining a visa prior to their entry to Indonesia. Please be advised that visa free - short visit is granted for a maximum of 30 (thirty) days of visit. It cannot be extended and cannot be transferred to another type of visa. • Make sure that you have a passport valid for at least 6 months from the arrival date or you will be turned away from your departing city. • You must also have proof of a return ticket. We will be arranging private transportation for you. A driver will meet you with a Soulshine Bali sign and big welcome smile. Just be sure to give us all of your flight information once you have it! We've got some great pharmacies ("Apotek" in Indonesian) and an awesome health clinic nearby Soulshine Bali in case you need anything. Due to the popularity of our retreats, all accomodations, with the exception of one, will be shared. If don't have a retreat-mate, let us know and we will do our best to pair you with another solo traveler. The kitchen serves farm to table freshness from the organic garden with a menu full of delicious vegan, vegetarian and local flavors. If you have food restrictions please let us know and we will do our best to accomodate. Bali is located near the equator and tends to have fairly stable weather with the ‘wet’ season occurring between November and March and the ‘dry’ season between May and September. The sun still shines bright during the wet season. It is generally always hot with temperatures hovering in the mid to high 80s and up. We recommend light clothing that breathes but can also protect you from the sun. Being near the equator, the sun is hot and can burn much faster than what you might be used to. Sleeves or a light jacket is also helpful in the evenings if you decide to take a scooter ride. Don’t forget to pack bug spray + sunscreen. We've got great natural bug spray and SPF 25 sunscreen, but don't forget to pack your own if you have your favorites. + Want to stay an extra night? If you would like to tag a night on before or after the retreat, please let us know and we'll connect you with the right person. A non-refundable deposit of $600 reserves your space. If you cancel before July 1st (90+ days before retreat start date) + paid in full, you will receive a full refund minus the non-refundable ($600) deposit. If you cancel anytime between July 2nd - July 30th you will receive 50% of your payment. You will forfeit 50% of the price of your retreat. Cancellations after July 30th are non-refundable. We highly encourage travel insurance. Please be sure that your insurance policy covers you for all relevant sport activities you will be engaging upon on your retreat & TRIP CANCELLATION. Depending on the policy and conditions, travel cancellation insurance will pay for some or all cancellation fees. With most agencies, insurance must be purchased within 14 days of making your reservation. We love World Nomads Travel Insurance or Cover More Travel Insurance as this covers you for all activities during a Soulshine Bali Retreat. On the fence? Still have a question?